The well-dressed middle-aged woman sitting in my office spoke quietly as she told me in detail about her torment. The skin on her arms and legs was covered in livid, flaking red patches – the classic symptoms of psoriasis. Medication and other treatments had failed to help. To say she was distressed about her appearance would be an understatement. She’d been referred to me by her previous dermatologist, who knew that I take a slightly different approach to treating skin diseases. But my new patient looked slightly surprised at my first question: ‘Tell me what was going on in your life when the skin problems first started,’ I asked her. And then it all came pouring out. She came from a ‘good’ family, she said – her father was a banker, her mother stayed at home. And yet her parents were in turns distant and abusive, striking the children for even the most minor indiscretions, and arguing violently with each other. ‘Dad wanted me to play the violin and bought me a very expensive one – I know it was because he told me so,’ my patient recalled. ‘But when I tried to practise, he would come storming in and yank it out of my hands, telling me I was making a terrible noise. By the time she was in her teens, her parents had divorced – and her mother was, by the sounds of it, a functioning alcoholic. She struggled on at school – achieving good O-levels, then A-levels, and a place at a top university – but noticed scaly, rough red coin-sized patches of skin on her legs, arms, chest and face. It wasn’t until her early 20s that she plucked up the courage to visit her GP, and was told it was psoriasis. She was given creams but there was no cure, she was told. It wasn’t fatal. It would pass. So best to just get on with it. Over the years, the woman had suffered consistently from the disease, which is thought to be due to a problem with the immune system. In those with psoriasis, the skin cells multiply ten times faster than the normal rate. The excess cells pile up on the skin surface, forming red, raised, scaly plaques that can be painful and disfiguring. Patients often have symptoms for weeks or months, which then resolve, only to return at a later date. Psoriasis can affect almost any area of the body, including the face. And it is obviously upsetting. But there is evidence that trauma does, in some cases, actually trigger the condition. It has been well established that long-term stress is associated with a higher incidence of illness such as arthritis, cardiovascular disease, lung disease and cancer. While this is just an association, other studies suggest a possible mechanism: victims of childhood abuse are found to have altered blood levels of certain chemicals linked to inflammation in the body. Similar chemicals are thought to drive skin problems in conditions such as psoriasis. We can’t say for sure that traumatic events, or stress, are what is behind this or any other disease, and not all abuse victims develop psoriasis. Many people with the illness have lived stress-free lives. But very often, there are psychological drivers to skin conditions that develop at a time of stress. And a patient’s mindset is integral in how well they cope with the illness, and how badly it affects them. And that, I suppose, is where I come in. I am what is known as a psychodermatologist. Never heard of it? Well, it’s a relatively new area of medicine; an amalgamation of three things – dermatology, psychiatry and psychology. I trained in psychology before studying medicine. Now, alongside a handful of other similarly qualified doctors at the Royal London Hospital – one of eight specialist units in the UK – I treat patients with skin problems, from the common ones such as chronic acne, eczema and dermatitis to a range of other more unusual conditions. It is well documented that these very visible diseases can cause patients significant psychological distress. And we can help. But we are also here to try to weed out the root causes of these diseases, which, we find, often begin in the mind. Rough, flaky and itchy eczema, which afflicts 15 million Britons, can be triggered by anxiety and stress. Sufferers experience low self-esteem, insomnia and depression as a result of their condition, which ultimately exacerbates the problem, so it’s a vicious circle. Itchy, red hives – or urticaria – often appear due to acute anxiety and even phobias. Acne and depression go hand in hand, while trauma and grief are linked with psoriasis. Again, the same chemical pathways in the body drive mental health problems and reactions in the skin. More rarely, mental illnesses like obsessive compulsive disorder lead to patients washing excessively – and this results in dermatitis on the hands or all over the body. Obsessive skin picking also causes ulceration. By treating the patient holistically – offering treatments for both the skin and mental health problems – we have remarkable success in finding a complete resolution. It doesn’t mean we ignore traditional medical approaches. Patients are typically prescribed creams along with antibiotics, immunosuppressants and injections to deal with inflammation, spots, redness and soreness on their face and body. But this will be combined at the same time with psychotherapy, which is used to find out the emotional root causes of their skin problem. And techniques including mindfulness and cognitive behavioural therapy help them cope better mentally, too. The middle-aged lady with psoriasis was unusual in that it took only one session to identify a clear link with her mental state and her skin. Often it takes longer. ‘Deep down, I’ve always felt that my skin problems were some sort of punishment,’ my patient admitted. ‘I’m a bad person, so I deserved to look ugly.’ Setbacks in life, such as being overlooked for a promotion, or a relationship breakdown, had been similarly catastrophised. And these events were often accompanied by a psoriasis flare-up. I was able to prescribe a short course of medication to help with her anxiety. We also referred her for psychotherapy and we gave her medication to help resolve the current skin issues. I saw her again a few months later, and she was transformed. I can’t say she’ll be cured – psoriasis is usually something patients have for life. But what we have done is give her the best possible mindset to cope. And, by helping alleviate her distress, we may actually have prevented further skin relapses. At the other end of the spectrum, we also often see patients who, on examination, have very little wrong with their skin. I recently saw a man in his late 30s who was very agitated. He said his previous dermatologist had ‘tried everything’ for his rosacea – a skin condition affecting mainly the face, which causes redness, flushing, and sometimes acne-like spots. I’m well aware of the distress skin problems cause. 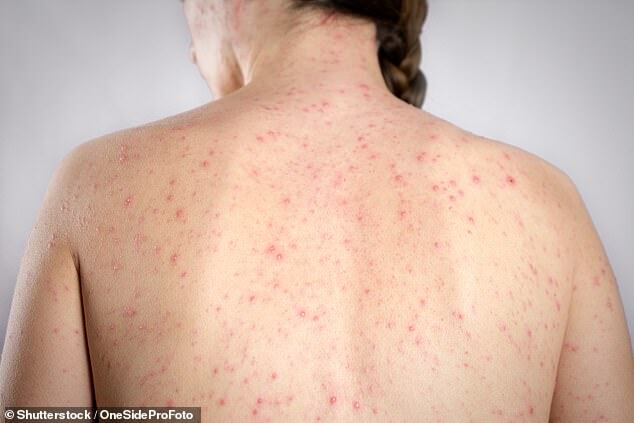 About 85 per cent of dermatology patients say the psychological aspects of their skin disease are a major component of their illness, according to research – in the UK alone, 300 people are believed to kill themselves each year rather than live with psoriasis. This man’s face was slightly red. But not particularly bad. A typical consultation with a psychodermatologist usually lasts an hour, and is much more in-depth than a standard first appointment with a regular dermatologist – it’s a bit like detective work. Patients discuss everything from how well they sleep to how satisfied they are with their relationships and job. The majority of patients we see have higher rates of anxiety, depression and low mood. In this case, once again, discussion led back to childhood. In his teens, he had been mercilessly bullied at school for having acne. He admitted ‘blasting’ his face with spot creams and even had sunbeds, as ‘it dried up my skin’. Although, objectively, he knew that his skin looked much better now, the preoccupation with the way his face looked had never left. Body dysmorphia, by definition, is a preoccupation with a perceived flaw – and sufferers often seek aggressive treatment for the most minor skin problems. In fact, we need to tackle their mental state. We often see severe rosacea, which affects one in ten Britons, many of them stressed-out younger men who are juggling hectic careers, a social life and perhaps a child or two. The precise cause is unknown and there have been many theories. But we know that many patients find that tiredness and stress exacerbate the condition. So we can look for an effective treatment, while helping them cope better with the things that are making life difficult, too. Many patients find huge relief when we identify ways to help them worry less – even if their skin doesn’t dramatically improve. And taking seriously just how upsetting having a skin condition is can be helpful in itself. As my colleague Dr Tony Bewley says: ‘Once we have made a diagnosis, I’ll ask a patient how they feel. 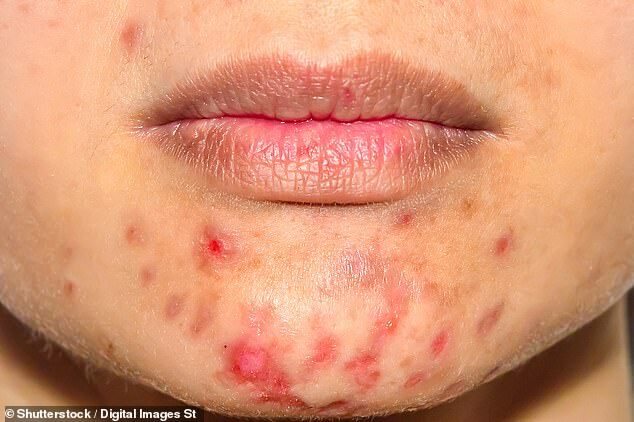 Tony recently treated a woman in her 30s suffering from severe acne that had first developed in adulthood. ‘She’d been referred to us as nothing her GP had offered had been successful – and in our first consultation she admitted, almost guiltily, that she’d been so depressed she’d felt she couldn’t go on. After six months, there had been a dramatic change in her skin. When Dr Bewley first started our clinic in 2002, psychodermatology was on the fringes of medicine. But today, in an era when we’re increasingly treating the mental aspects of a variety of illnesses, the speciality is very much part of the conversation. Our waiting list is a year long, though. It’s hard for us, a team of three supported by junior doctors training in dermatology, to keep up with demand. GPs are well aware of the psychological factors at play. But it’s normal for my patients to cry during our first consultation, because it’s the first time they feel the full extent of their problems have been acknowledged. For people who have been suffering, sometimes for years, our service can be life-changing. 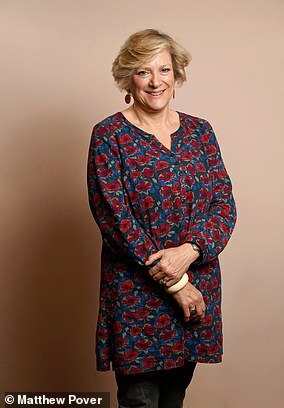 One morning Jo Bentley, 59, woke up and immediately noticed blood-red, flaky blotches that travelled the length of her forearm, ending just below her elbow. Within days the rash had spread to her other arm, and feet. The eventual diagnosis of psoriasis came as a shock. ‘I thought it might be a freak reaction to my washing powder,’ she recalls. Over the course of two years, consultant dermatologists prescribed a series of treatments including creams and UV light therapies, all of which proved unsuccessful. Never did the mother-of-two consider that the plague of red, angry spores may be related to the ‘deeply upsetting’ family trauma that occurred just months before symptoms appeared. But when Jo crossed paths with a psychologist in the hospital waiting room, she was introduced to the surprising link between skin and emotional distress. Miraculously, after just three months of mindfulness sessions, at least once daily, the sore skin patches vanished. Now, 15 years on, Jo teaches schoolchildren and NHS patients about the role of mindfulness in treating a range of physical illnesses, from cancer and chronic pain, to migraine.